Technicians certified on Dell Servers and Storages in 160 countries. Technical support in 193 countries, with certified and experienced professionals in dell servers and arrays. • Full end-to-end server life cycle query and management. • Break-fix solutions for servers, storage and other types of IT hardware. • Flexible support for needs and contingencies. • Proactive and reactive server monitoring. • Incident management, Problem management, Change management. 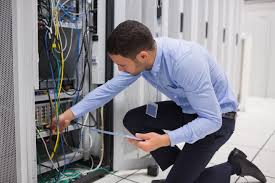 • Supplier management, including purchase and installation of server hardware.